Results: A new class of catalytic material has been studied by scientists at Pacific Northwest National Laboratory. 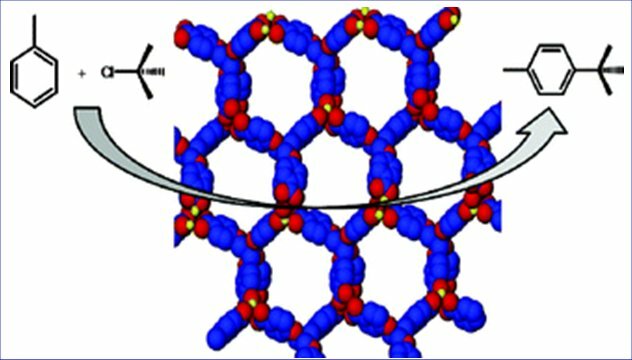 Metal-organic frameworks (MOFs) display a unique three-dimensional structure that is highly selective and reactive, with performance that is up to 50 percent better than commercial materials in the tested reactions. The catalyst’s high shape selectivity—the ability to select certain molecules in the reaction based on structure—points to energy, environmental, and other applications for this new class of materials. 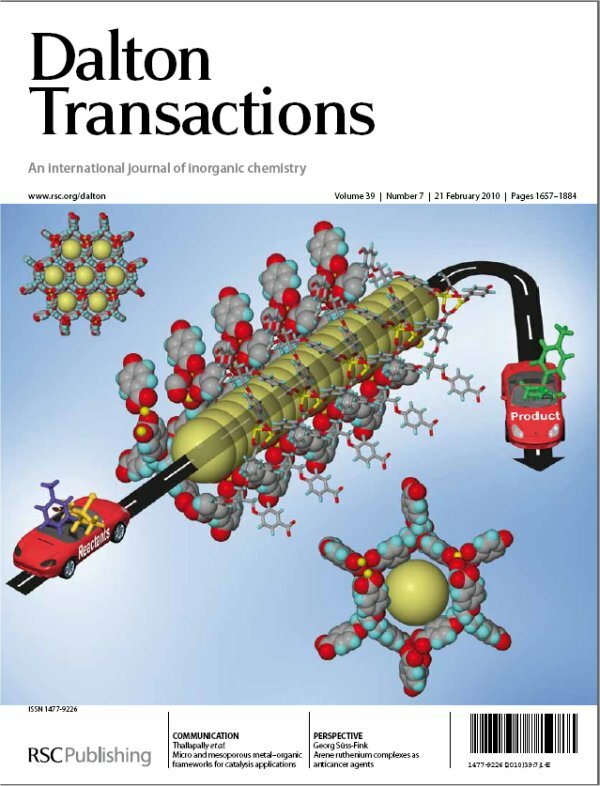 This breakthrough research was featured as the cover of Dalton Transactions in February 2010. Why It Matters: For the reaction studied by the PNNL scientists, current commercial catalysts can convert to products up to 60 percent of reactants. Finding a stable catalyst, one that reliably converts 100 percent, means no waste and a faster, more efficient process. Stable and highly reactive catalysts that are also highly shape selective show potential for improving the refining of fossil fuels, utilizing biomass as feedstock, and reducing automobile exhaust pollutants, among other activities. Methods: To be considered versatile, catalysts must have several attributes: high reactivity or conversion rate; large surface area; and durability—a tolerance for high temperatures. For this study, a new class of MOF catalysts was synthesized and tested for a class of catalytic reactions known as alkylations, useful for petroleum refining. Researchers were looking at the rate of the reaction, and how the unique properties of this class of catalyst might select for the most desirable products of the reaction. MOFs are crystalline, well-ordered, three-dimensional structures. They have open metal sites with large pores. Fine-tuning the pores, so that only certain reactions take place, could further define the catalyst for particular applications. The MOFs were exposed to the chemicals they were to convert, a.k.a., the reactants. The MOFs exhibited high shape selectivity, acting like a sieve to pick and choose which molecules get to participate in the reaction. This shape selectivity can be used to advantage when choosing a catalyst for a particular reaction. In addition to high shape selectivity, the open framework structures of these materials enabled greater surface area contact—up to the size of a football field in a teaspoon. The increased surface area contributes to increased conversion, the rate at which the catalyst converts the chemicals in the reactant. This new material converts up to 100 percent for the alkylation reactions studied, meaning no waste and a faster, more efficient process. MOFs provide efficient and productive reactions, maintaining these reactions under high temperatures. Their unique, crystalline shape and high conversion rate are attractive for catalytic processes in both petroleum refining and chemical production. In addition, an analysis of the material’s porosity points the way to many other new applications such as carbon dioxide separations which are important for mitigating greenhouse gas emissions. What’s Next: Further exploration of the unique structure of these materials is warranted to examine the shape selectivity properties for the production of several chemicals. For this, scientists need to identify the ”active sites” for the catalytic reactions. Furthermore, fine-tuning the porosity of the MOFs may yield even more gains in surface area and conversion. Acknowledgments: The research, supported by the U.S. Department of Energy’s Office of Basic Energy Sciences, and Laboratory Directed Research Development, was performed by Dr. Praveen K. Thallapally, Dr. Carlos A. Fernandez, Dr. Radha Kishan Motkuri, Dr. Satish K. Nune, Dr. Jun Liu and Dr. Charles H. F. Peden of Pacific Northwest National Laboratory. Reference: Thallapally PK, CA Fernandez, RK Motkuri, SK Nune, J Liu, and CHF Peden. 2010. 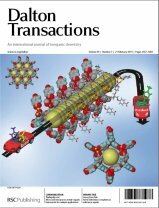 "Micro and mesoporous metal-organic frameworks for catalysis applications." Dalton Transactions, 39(7):1692-1694. A catalyst is a chemical substance used to convert raw materials into one or more desirable chemicals. A catalyst, used to speed and select a specific product from a reaction, is not consumed by the reaction. Stable, durable, and efficient catalysts are highly prized in refining petroleum and producing chemicals.